Why trust the majority when most people are overweight, unsophisticated, immature, spiritually bankrupt, hyper-consumers, mean-spirited, socially weak, and lack direction and purpose? Aren’t these all signs of human degradation? Aren’t these signs of someone who you’d keep away from meddling in your affairs? So why do we trust the advice of those with such a character? 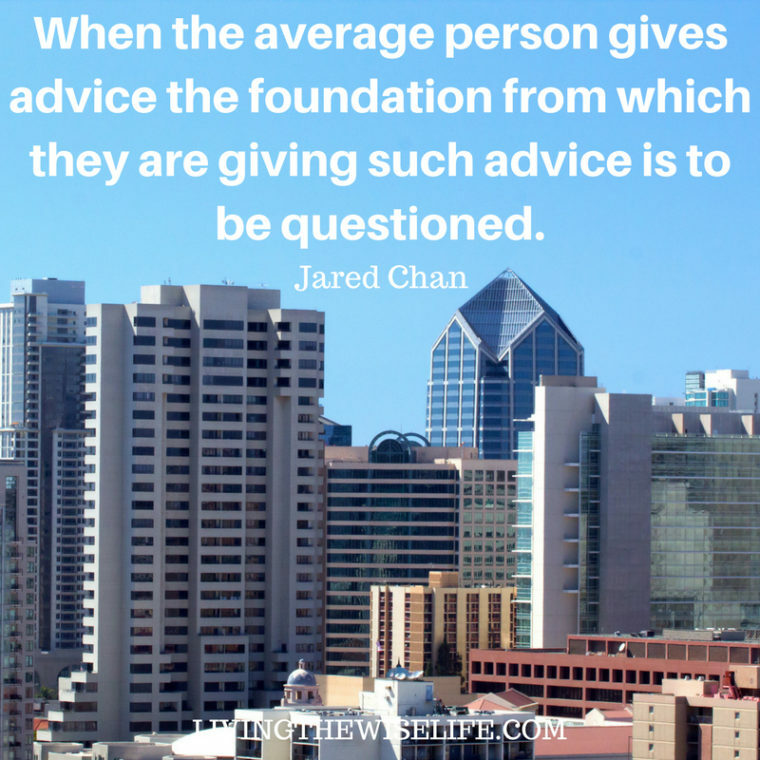 Remember, when the average person gives advice the foundation from which they are giving such advice is to be questioned. As their pride and joy come from a foundation of mediocrity. And all their advice, by architectural default, is in operation to turn everything into the image of mediocrity and to conform all things towards the worship of mediocre things. As easy as they get excited over stupid things, they too get frustrated over petty things. They are amused by the mundane and their virtues are profane. What they commit their lives to is but meaningless and arbitrary. They have no spine and can’t be relied upon yet we load the weight of our society onto them. Their entire perception is limited and has but little potential for development. And because of this, they will never be able to see past their own arbitrary nature, thinking that what they see, feel, and believe, is in fact substantiated in and of itself. They have no respect for reality or true authority, for they are to themselves reality and the only determining force. This is the highest form of arrogance as none of it is justified, yet they demand justification from others. Despite all that’s been said so far, maybe the average man is to be admired for something, as he influences society in many ways. He has hold of the trends, social norms, and the mindset of the age. Maybe this power alone is worth succumbing to such mediocrity if only to fit in? P.S Share this with someone who is bargaining with mediocrity. Question: Have you chosen to fit in or have you overcome bargaining with the majority? You can leave a comment by clicking here.